As this is a household of chutney-lovers, a unanimous decision was taken to make some with our little harvest from the garden. This one is adapted from various magazine, book and internet recipes. 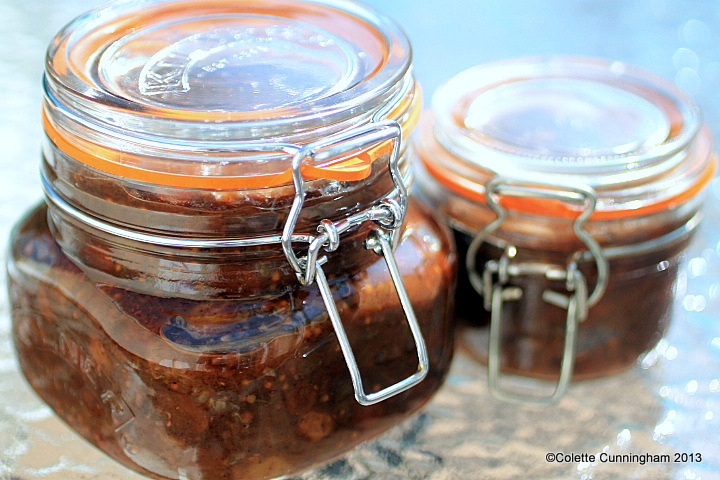 Gooseberry Chutney is a perfect partner to Mackerel, Pork, or a piece of good quality Cheddar. The quantities here yielded approximately 0.85L of chutney, which I stored in a 0.5L and a 0.35L Kilner jar. 275mls Cider (or White) Vinegar – I used David Llewellyn’s Apple Cider Vinegar, which I happened to have, but any will do. Combine the vinegar and brown sugar in a saucepan, bring to a boil, and simmer until it forms a syrup. In the meantime, place the gooseberries and water in another saucepan, bring to a boil, and simmer until soft. Add the onions to the syrup and allow to soften, followed by the sultanas, mustard seeds, ground allspice, and salt. After giving this a good mix, pour the cooked gooseberries in and mix again. Simmer on a low heat for about an hour. Wash the jars in hot water, and dry thoroughly. Either, place upside-down on a baking sheet, or directly on the rack, and put these in the oven for an hour. Allow to cool a little before pouring in the chutney. Next Post Other Bits! Dissociation from who actually “owns” a recipe! 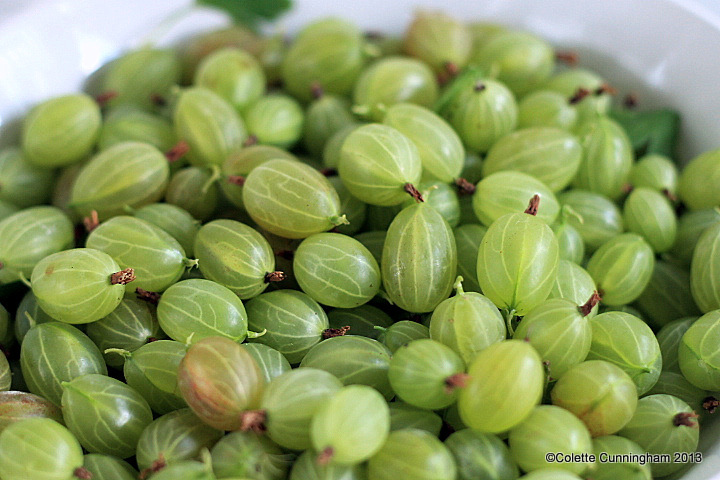 I love gooseberries! I made a pie with mine this year. If I can get some more I may look into making this chutney. Sounds delish! Thank you for your comment. Gooseberry Pie is a lovely way to use them too 🙂 If you do make the chutney, let me know how you get on. Colette I made chutney with my second crop last year…. it goes really really well with pork! Just sayin! I picked a nice few gooseberries from the garden and just popped them in the freezer. I think I will try out some chutney this year, in place of the usual jam!